MOVE IT! has been a life saver! 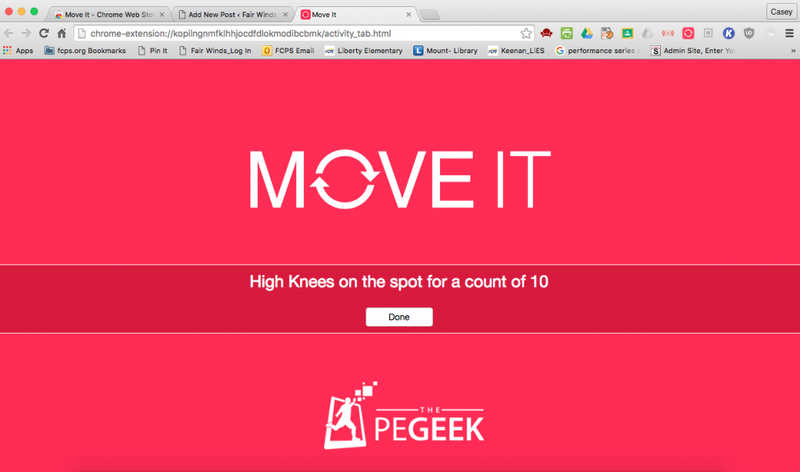 Move It is a Google Chrome extension to allow you or your students to get active with a simple brain break. It is an easy reminder tool to help us not stare at the computer screen too long. It is important to stay healthy and take care of our eyes, back and shoulders while using the computer all day long. 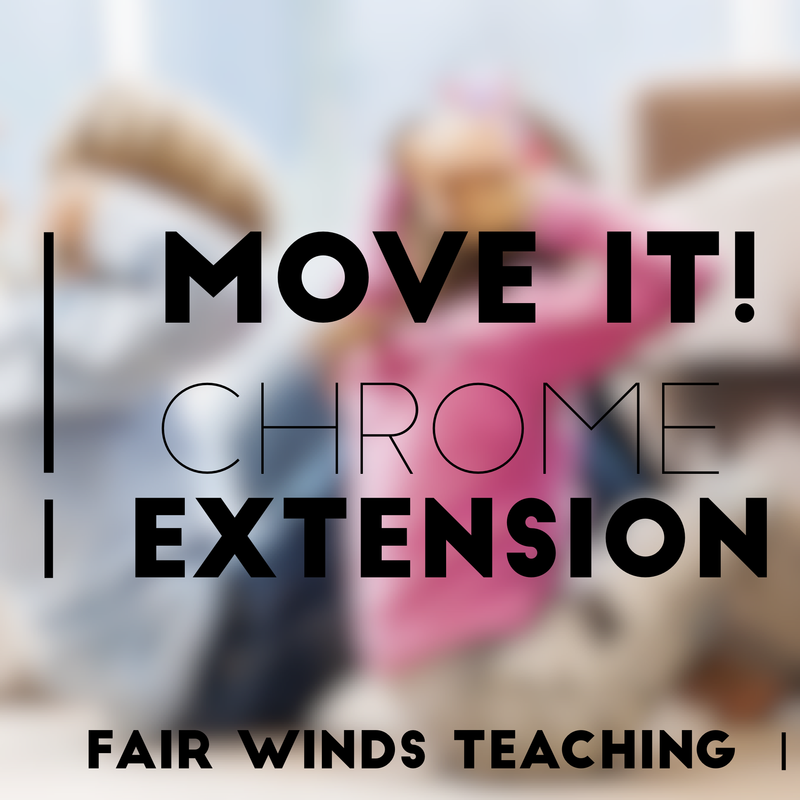 This extension is great for adults and students! Check out this YouTube video to see how to download the extension and use it with your students. Find out when NOT to use it as well. 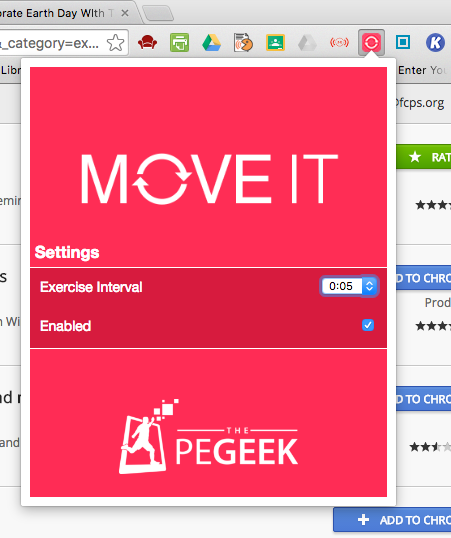 Here is an example on what one of the Move It’s look like. When they pop up it locks all of your Google Chrome screens until you click ‘done’. Please let me know what you think about this Google extension and check back for more each week! Like to get your students active and interested in making healthy choices? Check out this post on how to bring sports into the math classroom.